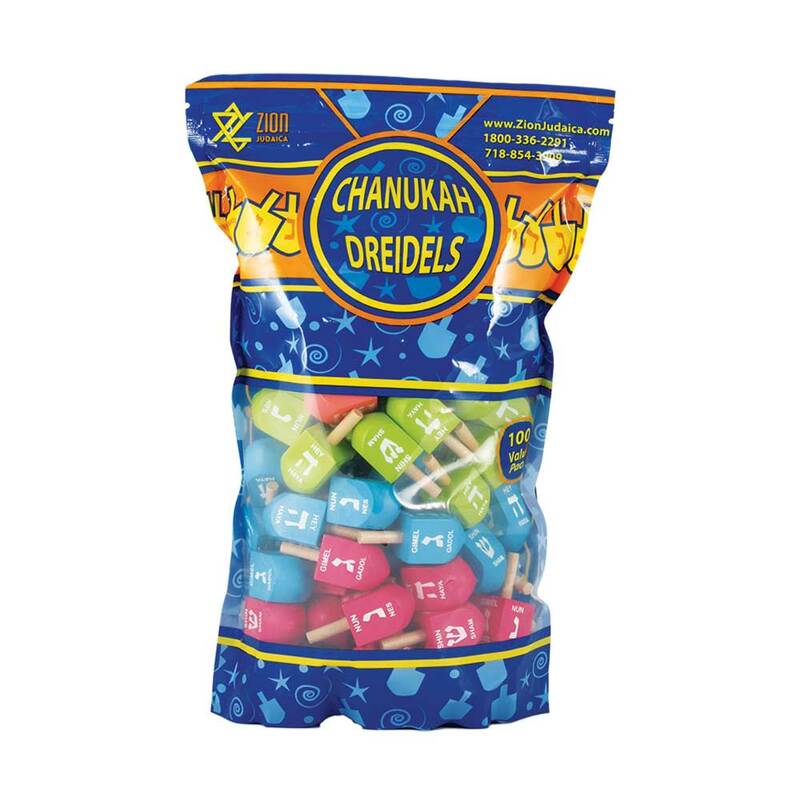 Medium Multi-colored Wood Dreidels - 100 Pack of smooth wood Draydels. 1 3/4" tall. Free-standing resealable zip lock bag! 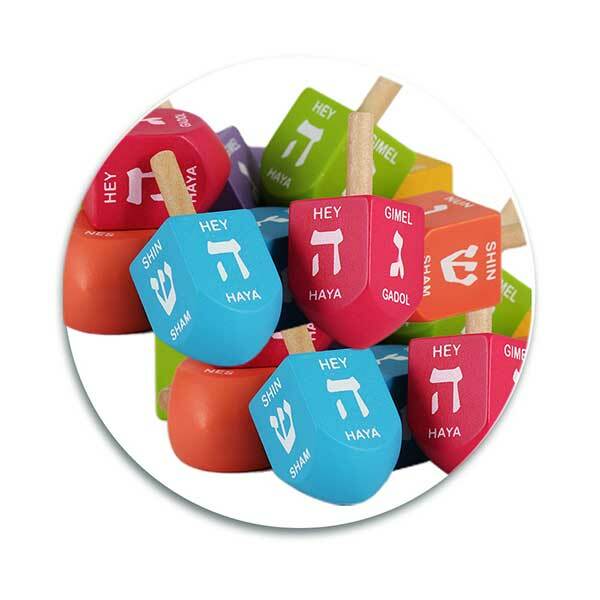 Detailed Dreidel game instructions included. WOW! BLACK FRIDAY DEAL 28% OFF!